Can I Use Joint Compound on Window Sills? Interior window sills typically come in two varieties. Most windows sills are wood, which is sturdy and long-lasting. But some building designs call for drywall window sills wrapped with metal corner bead. Generally, wood window sills last longer, though frequent contact with moisture might lead to cracking and bowing over time. Drywall window sills require primer and paint. Joint compound won't bond effectively with wood, so you can’t use it to repair a damaged or aging wood window sill. While the compound might adhere at first, the two types of materials won’t react similarly to temperature changes. If the wood expands due to heat, for example, the joint compound will crack and break away. To patch or smooth wood window sills, use wood filler designed for such purposes. Some window sills are drywall. Workers install a sheet of drywall where a wood window sill would normally go, cutting the edge flush with the adjacent wall. Then, workers wrap the outside edges of the drywall surround with either metal corner bead or long sections of bent metal designed to withstand blows. To finish the window, workers cover the corner bead with several thick coats of joint compound. If you use the corner bead and joint compound method to create a window sill, you must prime and paint the joint compound to protect it from moisture. Windows sometimes leak, which could dissolve and destroy the joint compound and the drywall. Also, if the air outside is cool, condensation might form on the windows. If the moisture drips and pools on the window sill, it will damage the joint compound. Priming and painting provides some protection against water, though you should inspect the sill occasionally to ensure the paint isn't peeling. You also must use silicone caulk to fill the seams between the joint compound and window frame. Otherwise, moisture might collect in the crack, damaging the drywall or joint compound. Moisture buildup in crevices also might lead to mold growth. 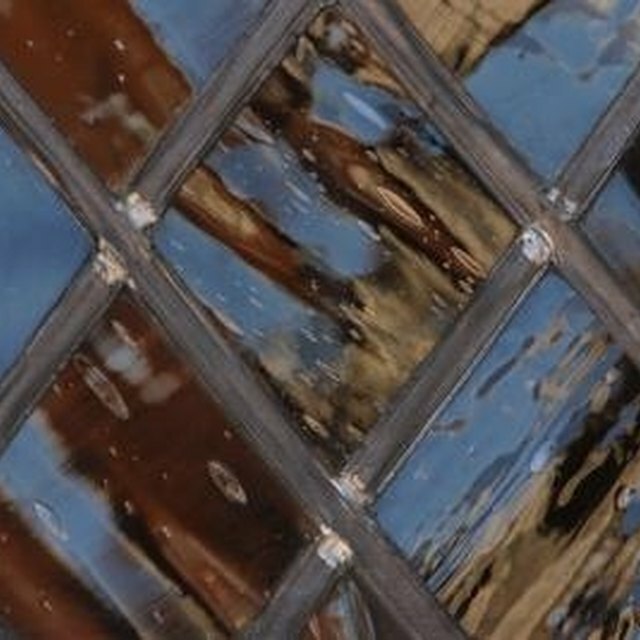 What Is a Clad Wood Window?